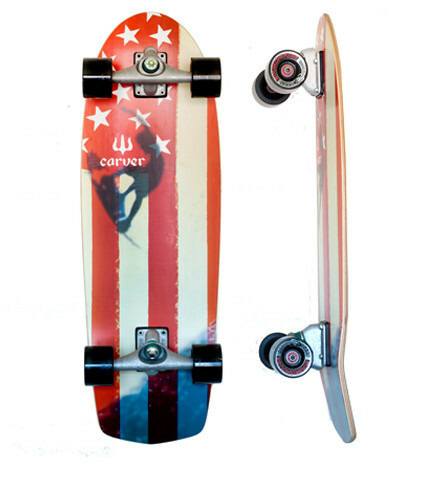 Carver is a proud sponsor of the USA Surf Team, the hottest group of groms to ever snap a turn. During a recent training session in Huntington Beach we met up with the team, many of whom already ride Carver, to test new demos and get feedback on board design. You’d think a group of 16 surfers would all have different opinions when it came to designing their favorite board, but we were surprised to hear many of the same ideas from the whole team, so we sharpened our pencil and took some notes. They all liked the performance of a 30” board with a 16” wheelbase, but wanted a little more nose kick to really lock the front foot in place for more progressive riding, like blow tails, 180 reverses and big boneless airs. The team now uses this board in training sessions to work on flow, power, stamina and style, and we have already witnessed the boost this has given the team. 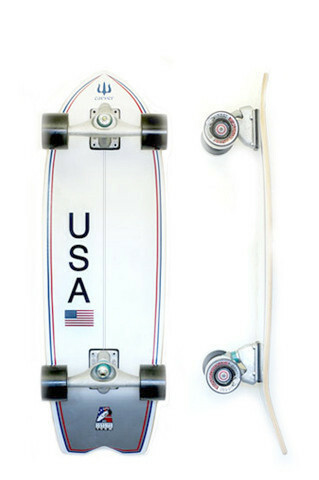 These kids are the future of surfing, and this board is the future of surfskate. 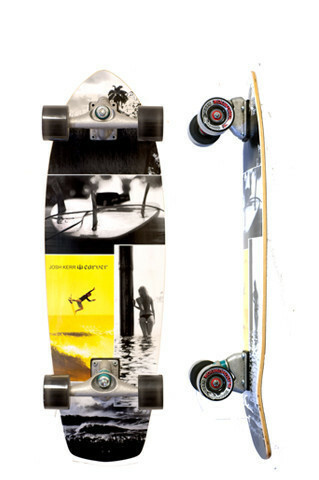 Recommended with the CX truck set for most progressive surfskating.